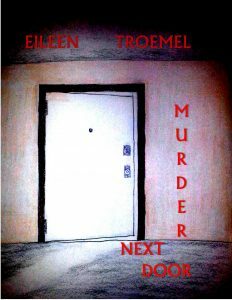 Death in the apartment across the hall throws Eloise Franklin and Ronan Turner into each other’s lives. Turner is arrogant and condescending of Eloise profession as a stripper until he finds out she’s raising her younger sister. Eloise and her younger sister experience danger and abuse. Ronan discovers a respect and love for Eloise he never expected. I like a challenge and I’d not written a murder mystery previously. I like the idea of a bad girl being killed and playing with how the cops perceive her when there is someone to say “get justice for her”. Setting this in the future where anything could be legal helped. The victim wasn’t doing anything illegal but was in a profession frowned on by “good” society. The main three characters are meant to be at odds to begin with but overcome their differences to come together. These characters kept battling each other until they began to understand each other better. I liked playing with the growth and connection. Eloise, dressed in a simple black dress and flats, walked through the police station. The sergeant had directed her to Turner and Sanchez’s desks. Their backs were to her. “Whore gets whacked by a john and we’re supposed to have it closed already,” Turner grumbled as he took a swig from his water bottle. “Now see here,” Detective Turner blustered. “No. You sit there in judgment of her. You call her names. I guess it was naïve of me to assume she would get justice because apparently justice is only for the rich or the righteous.” Reaching in her bag, she pulled out a drawing. She said, “Not that I think you’ll use it but here’s a drawing of the man I bumped into.” She stormed away, her temper fuming. Tears pricked her eyes from anger and annoyance more than sorrow. She blinked them away.